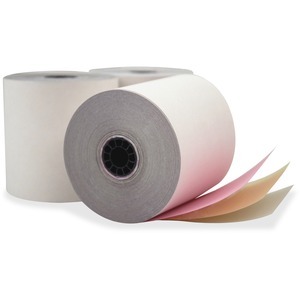 Carbonless roll produces crisp, dark images for use in point-of-sales machines. Three-ply design is durable for maximum efficiency. End-of-roll indicator conveniently lets you know when it's almost time to replace the roll.